Join artist and icon Judy Chicago in conversation with curator Philipp Kaiser as they discuss Chicago’s work from the early 1970s and her response to the male-dominated Land Art scene. Chicago’s Atmospheres were pyrotechnic performances with the goal of feminizing the environment and reclaiming the landscape. Chicago’s work is featured in Laid Bare in the Landscape. A book signing will follow the conversation. Doors will open at 5 pm for merchandise sales and a cash bar. Judy Chicago is an artist, educator, author, and humanist whose work and life are models for an enlarged definition of art, an expanded role for the artist, and women’s rights to freedom of expression. Chicago’s most well-known and widely-acclaimed work is The Dinner Party, which is the centerpiece of the Elizabeth A. Sackler Center for Feminist Art at the Brooklyn Museum. Her larger body of work, including her groundbreaking firework performances, are only being rediscovered and celebrated today. Philipp Kaiser in an independent curator and critic based in Los Angeles. He is the former senior curator of Museum of Contemporary Art, in Los Angeles, where he curated Ends of the Earth: Land Art to 1974 (2012). He is the former director of the Museum Ludwig in Cologne, Germany and organized the Swiss Pavilion at the 2017 Venice Biennale. 'Mother Nature Calls' at Tahoe Gallery in Incline Village, Nevada on the SNC campus. West coast friends, show is up til January 25th, M-F 10am - 5pm. Mother Nature Calls is about fermentation, transformation and our own bodily processes. Mother Nature Calls is a speculative gesture rooted in historical reference points. Mother Nature Calls is a ritual for reciprocity. Mother Nature Calls is an ode to the wonders of the natural world. 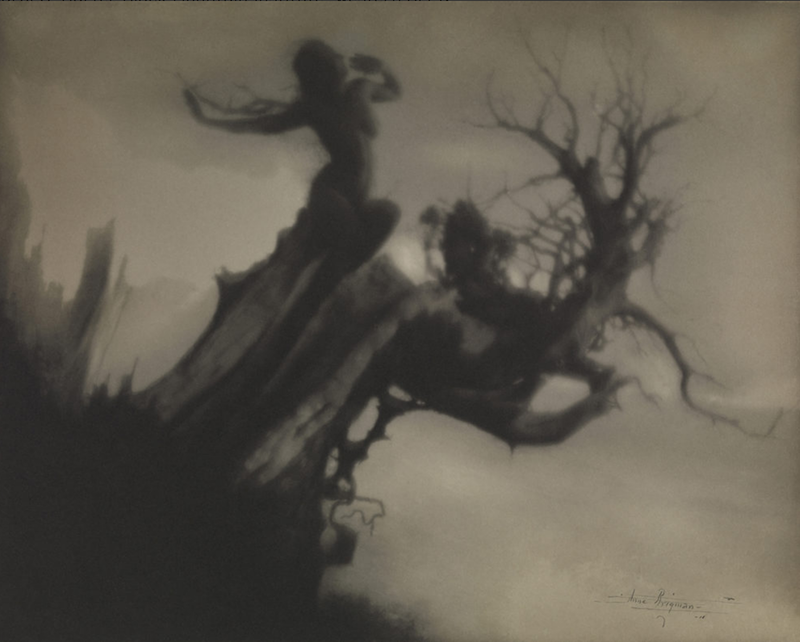 This exhibition, the largest ever undertaken, brings together over 300 works spanning the entirety of Brigman’s career from the collections of Michael Wilson and the Wilson Centre for Photography in London, The Metropolitan Museum of Art, the George Eastman Museum, the Oakland Museum of California, MoMA, New York, the J. Paul Getty Museum, and many private collections. The exhibition is curated by Ann M. Wolfe, Andrea and John C. Deane Family Senior Curator and Deputy Director at the Nevada Museum of Art. The Elko Gathering was renamed the National Cowboy Poetry Gathering thanks to an act of Congress. 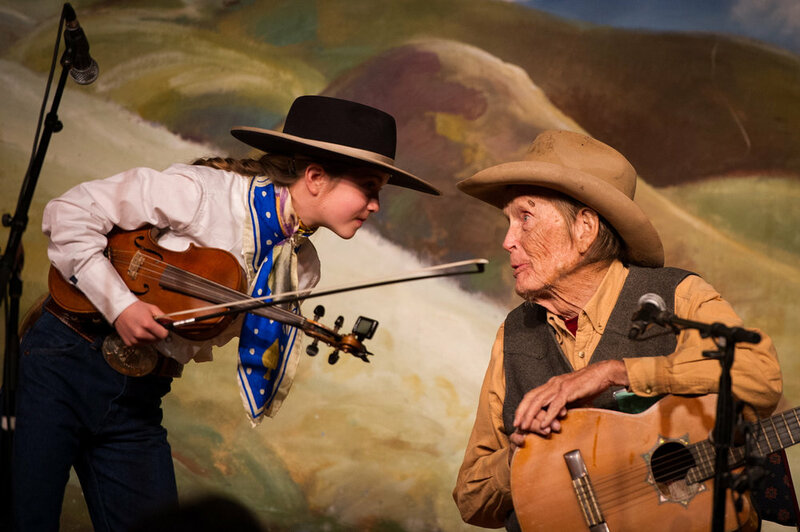 Known simply as Elko to many, the Gathering embraces its role as a pilgrimage destination for thousands of ranch folk and others who love the West and come to learn and experience art that grows from a connection to the rhythms of earth and sky. The National Cowboy Poetry Gathering is six days of poetry, music, dancing, workshops, exhibits, conversations, food and fellowship, rooted in tradition but focused on today’s rural West. Join us in Elko, Nevada, and celebrate the arts and cultures of the American West. Planning your first Gathering? Check out FAQs and Planning Your Trip! Tickets to the 34th National Cowboy Poetry Gathering go on sale to Western Folklife Center members the day after Labor Day and to non-members one month later. To become a Western Folklife Center member or renew your membership, click here, or call us at 888-880-5885 ext. 222. Site-specific projects by Sierra Nevada College’s MFA – IA candidates throughout the Sagehen Creek Field Station, located at 11616 Sagehen Rd, Truckee, California 96160. There will be a reception followed by an outdoor group dinner. University of Iowa together working towards MFAs between 2005 and 2009. This was the first time we were able to reunite and work together in over 5 years. residency but a lot of the work became starting points for larger ideas to develop. page. We are thinking of this work as ongoing—like a dialogue. and reflections, collections, short videos, and performances. and dream states all occupy this kind of territory. studio and street, and in those movements I gain perspective, clarity, and voice. making observations, notations and sketches, and collaborations.” She holds an M.F.A. In the main gallery at the Holland Project, is the exhibition DRIFT, a collaborative exhibit by Megan Berner and Victoria Buck which includes work derived from a residency they spent together aboard a tall sailing ship in the Arctic Circle. Also, in the main gallery space there is an exhibition by one of our favorite emerging Reno artists/photogs, Denali Lowder. Inspired by a resilient tree that can withstand and even thrive in the most severe conditions, Denali’s exhibit, Tree of Heaven, consists of beautiful photographs that have been layered up and printed by hand in a darkroom. Last but certainly not least, in Serva Pool, Elements, an exhibit by Missouri based artist, Laura Bigger, exploring the relationships that exist among humans, animals and ecosystems, and our human tendency to exert control over natural systems. Closing receptions for all three exhibitions go from 6-9pm on Sat., July 22 at the Holland Project! See you there!! The Capital City Arts Initiative [CCAI] presents its exhibition, "Tahoe Clarity", by artist Dylan Silver at the Community Center’s Sierra Room. The exhibit will be in the gallery from July 7 – November 9, 2017. The Community Center is located at 851 E William Street, Carson City. Dylan Silver is a Lake Tahoe-based journalist and photographer. He first started exploring underwater at age 8, diving overboard from a rubber dinghy in the coves around Sand Harbor. After finishing high school near Eureka, California, Silver returned to South Lake Tahoe to attend Lake Tahoe Community College before moving on to San Francisco State University where he completed a bachelor’s in journalism. Again, he came back to Lake Tahoe. As a reporter for the Tahoe Daily Tribune, he picked up photography, documenting the people, environment and businesses of the Tahoe Basin. He always knew he wanted to take his camera into the water to photograph the beauty of the lake’s clarity. It took a fortuitous bid on eBay to gain the necessary equipment. When his funky, red underwater camera housing arrived in December, 2014, Silver was in the water the next day. Over the next two years, he shot for more than 60 days and gathered more than 100,000 images. He swam at least once every month of the year, sometimes in water that hovered around 40 degrees. In July, 2016, he started sharing the images under the banner Tahoe Clarity. Silver earned his M.A. in Journalism from the University of Nevada, Reno in 2017 and lives in South Lake Tahoe, California. More of his work can be found on tahoeclarity.com, Instagram.com/tahoeclarity, facebook.com/tahoeclarity, and his personal website, dylansilver.com. The Capital City Arts Initiative is an artist-centered organization committed to the encouragement and support of artists and the arts and culture of Carson City and the surrounding region. The Initiative is committed to community building for the area's diverse adult and youth populations through art projects and exhibitions, live events, arts education programs, artist residencies, and online projects. The Capital City Arts Initiative [CCAI] is funded in part by the John Ben Snow Memorial Trust, Nevada Arts Council and National Endowment for the Arts, City of Carson City, Nevada Humanities and the National Endowment for the Humanities, Robert Z. Hawkins Foundation, U.S. Bank Foundation, and John and Grace Nauman Foundation. From Basque festivals, chefs cook offs followed by a movie, art workshops, open studios at the Riverside artist lofts and Discover Dickerson....to artist lectures at the Nevada Museum of Art, hula classes for kids, and tours of historic graveyards... July has a pretty good selection of events to choose from. Find your little Artown guide booklet or follow this link below to find out what is going on each day. Thanks to a collaboration between Danish artist Nes Lerpa, West Elm, and Sierra Arts Foundation, there is a new abstract show installed at the Historic Reno Post Office building. Artist talk to be held at West Elm 6-8pm June 22nd, all welcome! Celebrate Father’s Day Weekend with the entire family and experience American Indian heritage, history and pride at the Stewart Father’s Day Powwow! The former Stewart Indian School will come alive with over 200 dancers, over 25 arts and crafts vendors, Indian Tacos, and Admission is FREE! The Stewart Father’s Day Powwow benefits the establishment of the Stewart Indian School Cultural Center. An experience in Nevada not to miss! Welcome Rodeo Fans to the "Wildest, Richest Rodeo in the West!" The "Wildest, Richest Rodeo in the West," the Reno Rodeo is a 10-day event. The Reno Rodeo is a PRCA (Professional Rodeo Cowboys Association) sanctioned sporting event. Reno Rodeo is a non-profit organization made up over 500 volunteers.